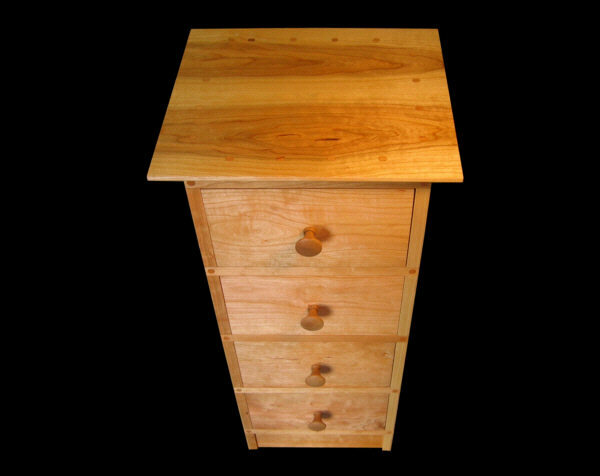 This is a 4 drawer double row CD storage chest. 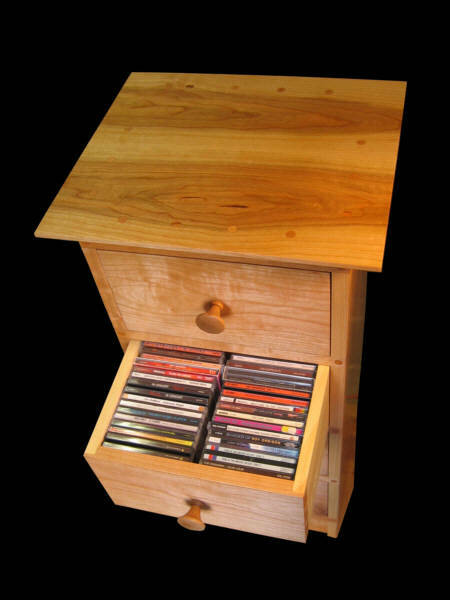 Each drawer can hold up to 50 standard size jewel cases for approximately 200 Cd's in total. 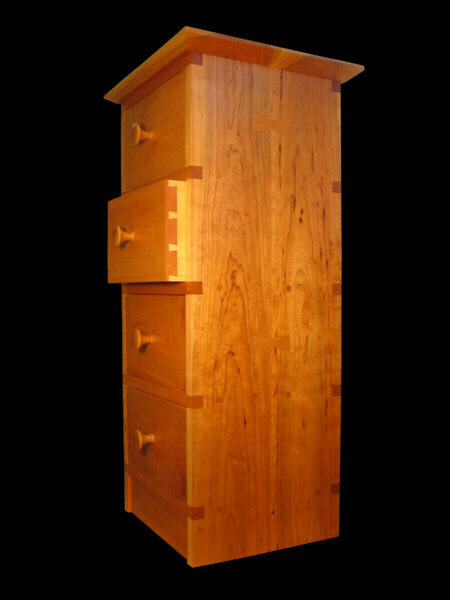 The casework is high quality cherry. Drawer fronts are cherry with handmade cherry drawer - pulls. 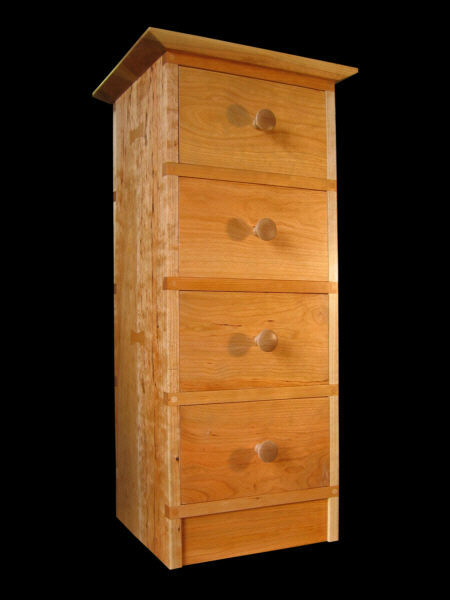 Drawer Insides are clear #1 eastern pine. Dimensions: 34 1/4" H x 13 3/16" W x 12" D, Top: 16 1/8" W x 14 D.
8-Drawer Modular Cd Storage Chest. Copyright ©2007 - 2012 Stan Pike Designs.